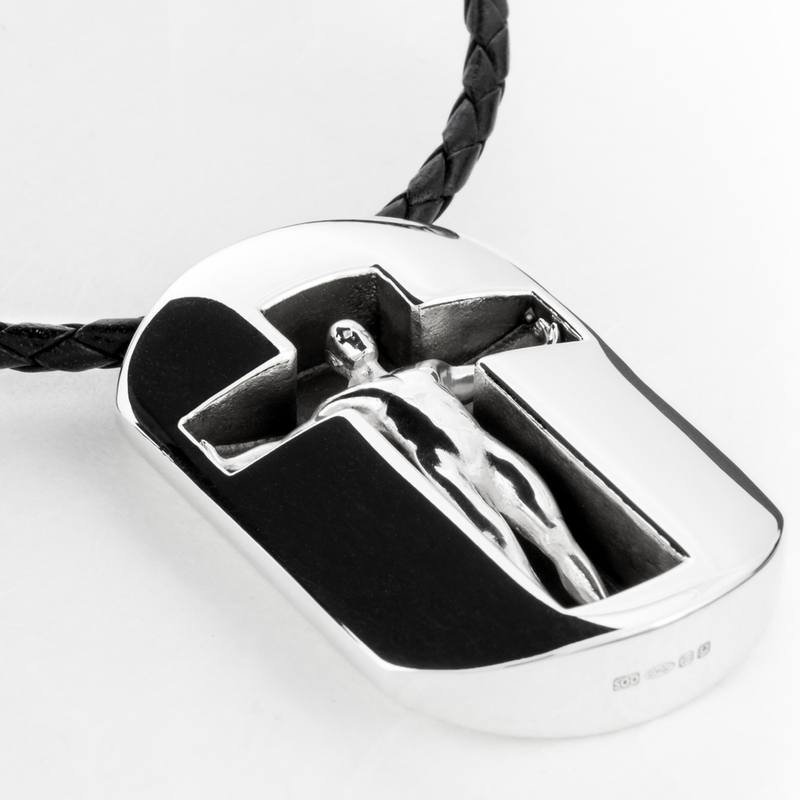 The Man Tag is an updated version of the iconic image of the dog tag. The inset figure of the man against a matte cross shape highlights a strong sense of identity in the piece. Dimensions of pendant: 28.5mm x 50mm x 8mm. Chain: Black braided leather cord with sterling silver twist clasp. A matching silver or oxidised-silver close-trace chain is available.